No Comments on The Best Ingredients Lead to Optimal Performance and Recovery. 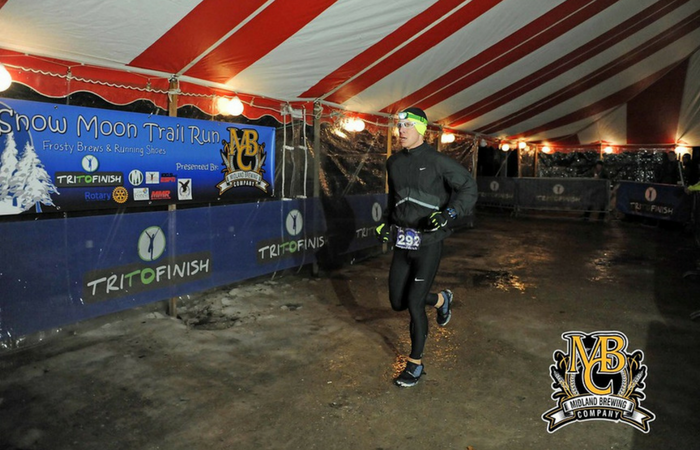 I recently competed in the TritoFinish Snow Moon Trail Run 15k Night Race. I used it as training and ran pretty strong – 1:18:47 hours for the 15k (which was good for 15th out of 81 overall) and 3rd in the 35-39 age group. I didn’t expect to run that well after a double spin class that morning that had me on the bike for 2:08 hours. I know using 3FU3L during and after ride helped my recovery for the race at night. One reason 3FU3L was so effective for me during the ride is its ingredients. The protein source is a 100% grass fed whey hydrolysate which absorbs fast into your muscles and keeps them from breaking down while helping them recover at the same time. It also contains Betaine. Betaine is derived from beets and keeps you hydrated during a long event. You lose Betaine when you sweat making it a key ingredient. Replenishing this is huge. Believe me, you sweat a lot during two spin classes Betaine decreases the lactic acid build up which allows you to produce more power and increase your endurance. Both spin classes I did had a lot of climbing and my legs never stopped turning, even during the heavy resistance adds. Finally, carb source is HDP waxy maize. This not only absorbs fast, but it’s long lasting. A bonus is it keeps you burning fat which is the body’s first source of energy. Did I mention the fat source in 3FU3L is baby coconut milk? Coconut milk contains Medium Chain Triglycerides, a fat which provides immediate fueling for the body. Being an endurance athlete and not having much body fat, a supplement that provides a source of “clean” fat is crucial to my performance. Not having to dig into my carbs right away allows me to go harder for longer periods of time. 3FU3L does just that. Second, I recovered fast after the spin class. Since all of 3FU3L’s ingredients are fast absorbing, I had a leg up on preparing for my race at night. I also sipped 3FU3L before the race. This provided me with the energy I needed to run better than expected even though I treated the event as training. My form didn’t break at all in the race and I didn’t go down at all on the snow covered, icy trails. I didn’t need anything during the race either. BONUS: I felt good when I finished which I didn’t expect either. So I’m first hand proof using 3FU3L can power your through multiple long duration events during a day and have you feeling good after.